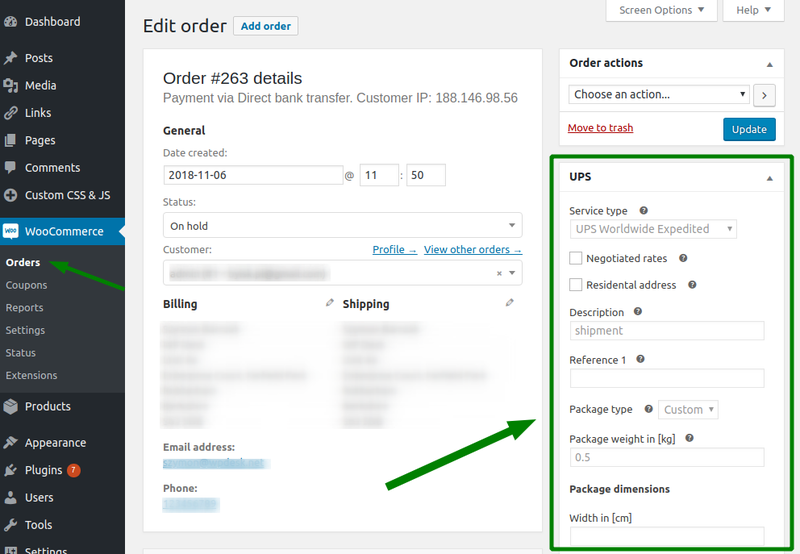 Once a customer makes an order with UPS as a shipping method, a meta box shows up on the Edit order screen. Use it to create a shipment. The Service type and other options may be already defined. FS Connect takes them from the shipping method settings. Once you're ready, click Create to create a shipment. You'll get the information about plan usage. Also, you'll be able to Get Label. If you exceed the plan, you'll get the warning. Click the link to upgrade your plan. 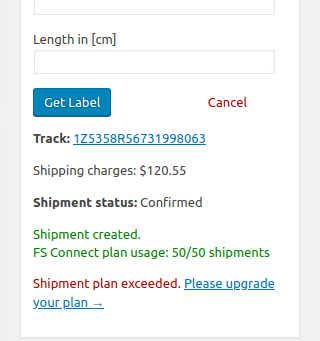 You can upgrade your plan at any time in My Account at flexibleshipping.com. 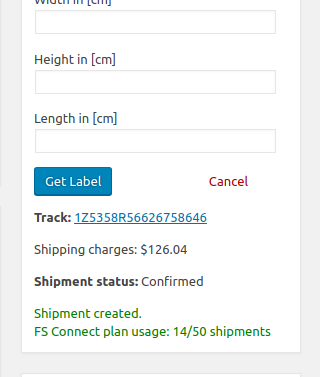 Back to the shipping creation and getting labels, you can automate the whole process!